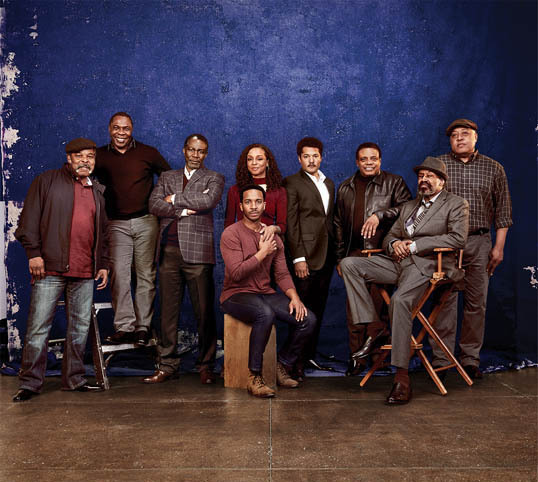 The cast of Manhattan Theatre Club’s Broadway debut of August Wilson’s JITNEY. Photo credit Kareem Black. Thanks to Manhattan Theatre Club, August Wilson’s “Jitney,” has finally arrived on Broadway. The work, part of his 10 play century cycle, is set in the station of a taxi service in Pittsburgh’s Hill District in 1977. Everybody on stage leads a hardscrabble life. Becker (John Douglas Thompson), who runs the service, has a son named Booster, who has just been released from a 20 year sentence for murder. Fielding (Anthony Chisholm) is an alcoholic while Turnbo (Michael Potts) is a gossip. Youngblood is a Vietnam vet (André Holland) secretly trying to buy a house for his wife, Rena (Carra Patterson), who thinks he is cheating on her. As they wait for their next fare, the men loiter, play checkers or gamble, gossip or worry about their future amid plans by the city to tear down their building. Under Ruben Santiago-Hudson’s assured direction and an outstanding cast, each character is memorable. David Gallo’s set, Toni-Leslie’s costumes and Bill Sims Jr.’s bluesy score add to the authenticity. The Mint Theater is unique in that it specializes in reviving forgotten plays of the past. Its latest production, “Yours Unfaithfully,” was published in 1933 but never produced. In this instance, the Mint’s production is the world premiere. The author, Miles Malleson, usually played befuddled comic characters on stage and in films, such as the Sultan in the 1940 “Thief of Bagdad” (on which he also was one of the screenwriters). Malleson was an advocate of open marriages and that is the subject of his play. 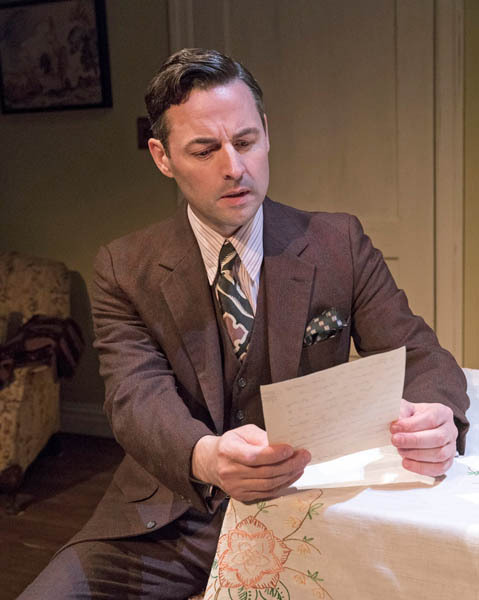 The central figure, Stephen Meredith (Max von Essen) is a writer who has been married for eight years to Anne (Elisabeth Gray). Stephen is in a funk and his wife suggests that he have a fling with their recently widowed friend, Diana (Mikaela Izquierdo). They have a confidant (Todd Cerveris) who had an affair with Anne, and Stephen has a conservative, disapproving father (Stephen Schnetzer). Jonathan Bank’s direction is elegant and the cast pitch perfect. It seems a shame that musical star von Essen doesn’t get to sing a song or two. As for the play, “Yours Unfaithfully” has both comic and serious elements but doesn’t make a strong impact in either direction. GEORGIE – Photo credit Christopher Mueller. 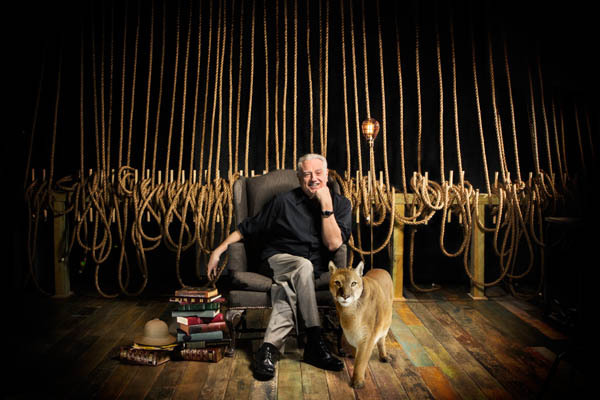 “Georgie: My Adventures With George Rose” is Ed Dixon’s one-actor play about his late friend, a familiar figure to Broadway theatergoers from the 1960’s to the 1980’s. He was an English comic supporting actor, whose breakthrough performance on this side of the Atlantic was in “A Man for all Seasons” in which he played the Common Man and his last part was in “The Mystery of Edwin Drood” for which he won his second Tony Award. Dixon was starting his career when he was cast in “The Student Prince” with the veteran Rose. The older actor was openly gay at a time when homosexual acts were illegal. A true eccentric, he kept mountain lions in his Greenwich Village apartment. Rose entertained Dixon with anecdotes about famous theater people, and imitated their voices, which Dixon recreates skillfully. The show turns darker when Dixon speaks about Rose’s death at the hands of the teenage boy he adopted in Dominican Republic. “Life According to Saki,” written by British children’s book writer Katherine Rundell and directed by Jessica Lazar, won the 2016 Carol Tambor Best of Edinburgh Award, the highest honor at the Edinburgh Festival Fringe. With funding by the Tambor Foundation, running with the original cast until March 5th at New York Theatre Workshop’s 4th Street Theatre. Saki was the pen name of early twentieth century Scottish short story writer H.H. 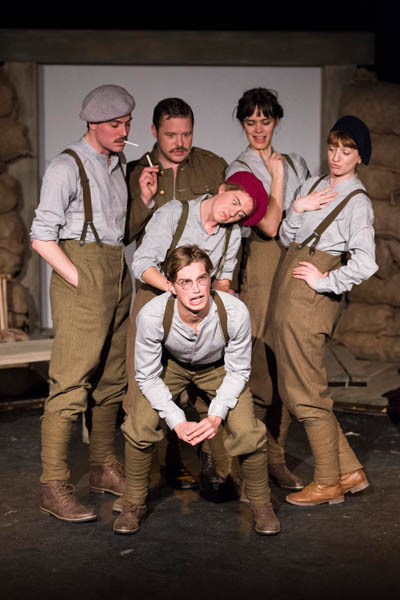 Munro (1870-1916), who died in battle during World War I. Engagingly played by David Paisley, Munro entertains his fellow soldiers with his stories, which are acted out by the talented company and life-size puppets (by Clair Roi Harvey and Suzi Battersby). It’s ironic that a man who poked merciless fun at his own society with his macabre wit should have lost his life defending it. “Life According to Saki” is a compelling night in the theater. It should have the effect, as it did on this writer, of prompting a re-reading of Saki’s stories.